Randy is The Foundry’s (nearly) fearless leader. 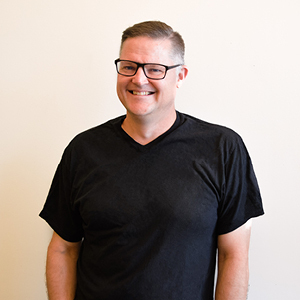 He directs each team member and oversees the organization’s overall strategy, all on top of running and operating a coworking space. Yeah, he’s a machine. 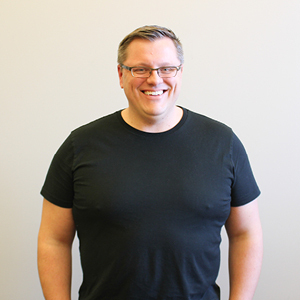 Randy also serves as a focal point for Lincoln’s nonprofit community and provides guidance for startups and nonprofits. He serves on more boards than we can keep track of, but that doesn’t stop him from volunteering and engaging in Lincoln’s theater scene. Spencer is in charge of all written content at The Foundry. On top of writing unique articles, he makes sure all writing is following voice and style guidelines. Spencer also serves as The Foundry’s in-house copywriter. After receiving his bachelor’s degree in English at the University of Nebraska-Lincoln, Spencer found his place at The Foundry, seeking a rewarding way to apply his passions to making a difference in the lives of those around him. Outside of work, Spencer loves the outdoors and attempting to play tennis. Jordan is the head of design at The Foundry. Any visual content ranging from logo design to magazine layouts, website graphics and more are products of her ruthless imagination. The magazine in your hands right now? That’s all Jordan. She came to The Foundry after four years in the University of Nebraska Lincoln’s art program. She was drawn to nonprofit work because she saw a way to create positive change for the community while doing what she loves. Oh, and get this: she collects antique typewriters. So cool. 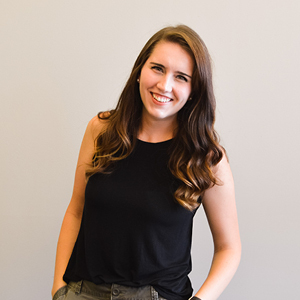 As The Foundry’s Marketing Coordinator, Molly communicates all of our written content, graphics and other works to the world. 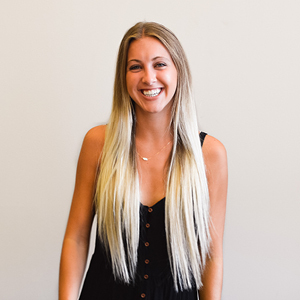 Molly has a bachelor’s degree in advertising and public relations, along with years of experience in digital marketing. Molly describes the most rewarding aspect of her job as regularly engaging with people who are passionate about creating change. In her free time, you can find Molly either on road trips or her yoga mat. Porscha is a content strategist for The Foundry. 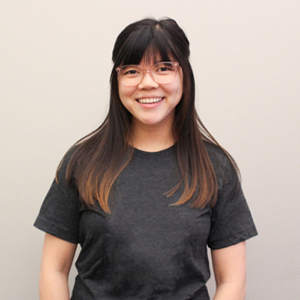 She's currently pursuing a degree in Advertising and Public Relations and is excited to learn and grow on The Foundry team. When she has free time, she enjoys playing guitar and cooking new recipes. 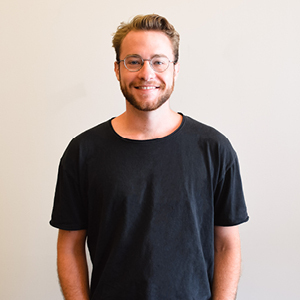 Parker is a content strategist for The Foundry. He's in charge of coordinating podcast and webinar episodes, as well as other community organizations. 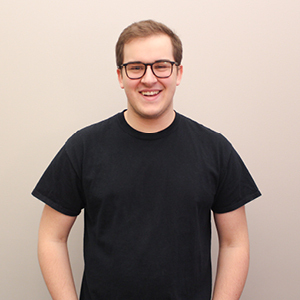 He’s currently pursuing a bachelor's degree in Film and New Media and can’t wait to expand those skills at The Foundry. In his minimal free time, he enjoys the playing video games and the occasional writing sesh. 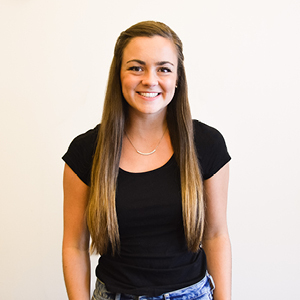 Hannah is a crucial part of the content team at The Foundry. As a content strategist, she manages all of The Foundry’s social media accounts and writes unique blog and magazine articles. She’s pursuing a two bachelor’s degrees in Spanish and Journalism at the University of Nebraska-Lincoln. She loves interacting with her coworkers as much as she loves cooking, spending time outside and hanging out with her cat.